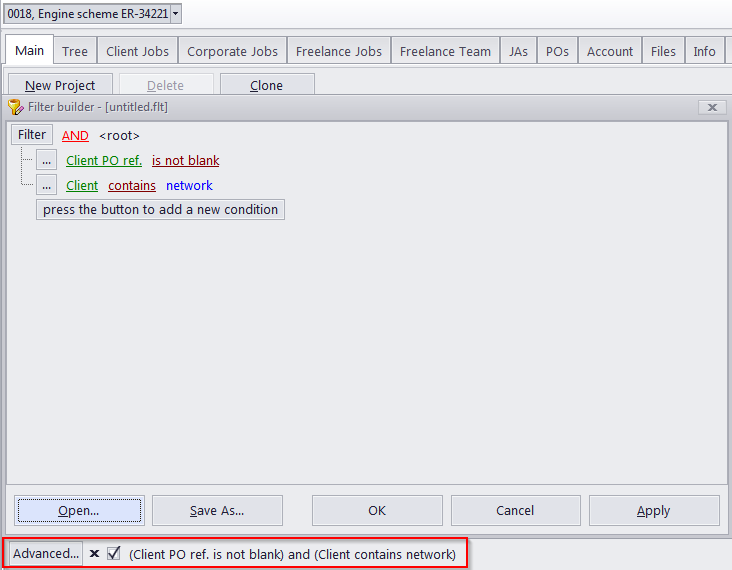 The Search option is available in each window of the program, for example, in the "Client > Main" page you can search using the Find panel (type a symbol string and the table will display only the entries where any of the visible colums contain that string). Every table in the program has access to such a panel. You can also use the Global Filter near the top-right corner of the window to search for a specific string in the entire databse, rather than just one table. How to search for a freelancer? The Search button on the Main tab of Freelancer window. The Search button on the Project > Freelance team tab. 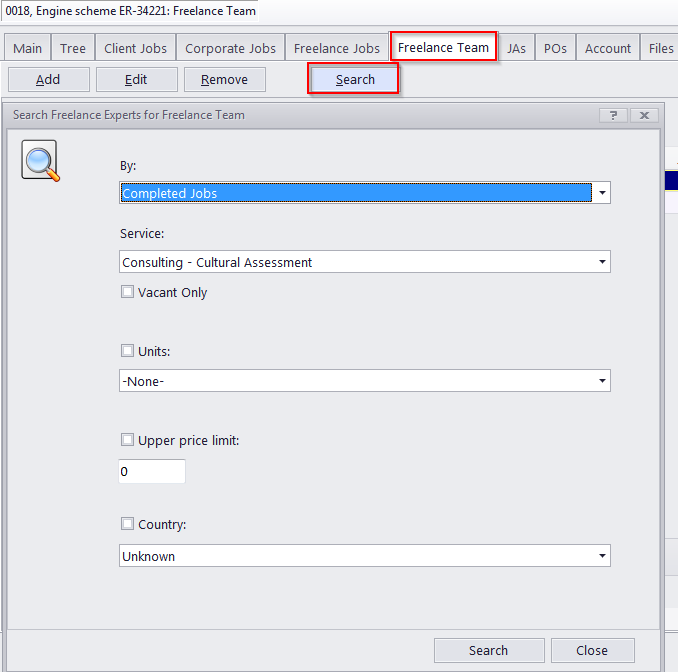 Another powerful search instrument in Projetex is the Local Custom Filter. You can filter records by any field (including custom fields) and any number of fields. The Local Custom Filter is available from the bottom of any table (click the 'Advanced...' button to call up the Filter Builder).